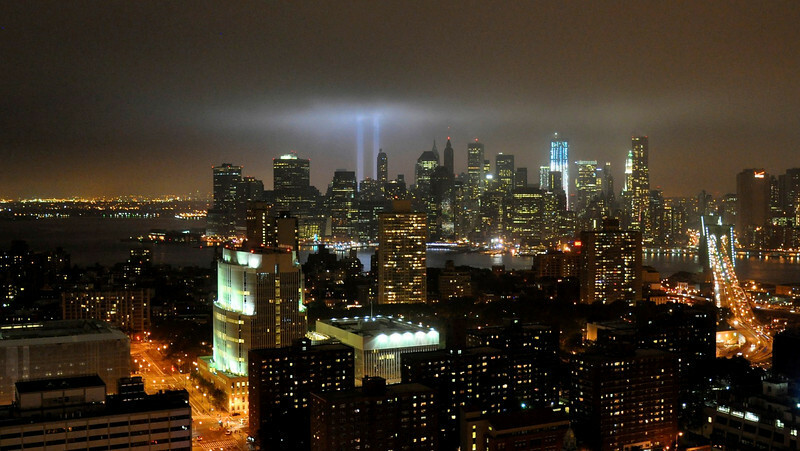 View of the Tribute in Light from downtown Brooklyn. This is a fantastic shot. I wish I had there to take it (or at least see it). Where were you standing? Brooklyn somewhere. Wow! Stirring. You must have just posted this a few minutes ago. I can't imagine why I am only the third person to comment on such an emotional image. It's not often a citiscape is so emotional. What a well done and touching image. WOW! You did great! This is most impressive!